CJ Hummel is a Managing Director in Capstone Headwaters’ Energy & Power Group. 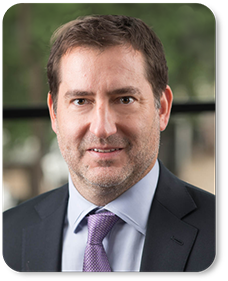 He brings 15 years of experience in project finance, mezzanine finance and private equity investing in the development and acquisition of energy infrastructure assets. CJ has particular expertise in tax equity and project financing for various sectors in the energy industry including infrastructure, power generation (both conventional and renewable), alternative fuels and downstream assets. His most recent transactions include the sale of Marubeni Sustainable Energy’s 70 megawatts of biomass and co-generation assets to Korea East-West Power Company, the convertible tax equity raise for the conversion of Mt. Poso Cogeneration Company’s 49.5 megawatt coal-fired power generation plant to burn 100% biomass, the equity and debt formation for the acquisition and refurbishment of Global Ampersand’s two 12.5 megawatt biomass power generation facilities and the bond financing for the construction of a 4.7 megawatt run-of-river hydroelectric facility for Bowersock Mills & Power Company. Prior to joining Headwaters MB (now Capstone Headwaters) in 2007, CJ was a founding member of Galena Capital playing a key role investing over $100 million in the acquisition and restructuring of four companies. Prior to Galena, he served a Senior Vice President for Alliant Energy Generation and Vice President for El Paso Corporation’s EP Power Finance private equity arm.